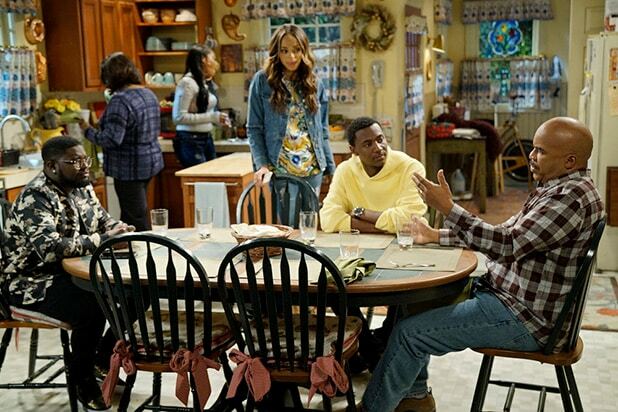 The current run for “The Carmichael Show” will be its last. The NBC sitcom that stars comedian Jerrod Carmichael won’t return after airing the final episode of its third season on Aug. 9. The news is announced on the same day that the cast members’ contracts were set to expire. NBC Entertainment chairman Bob Greenblatt and president Jennifer Salke applauded the show’s team for its success. The comedy launched in August 2015 and starred Carmichael in a fictionalized look at his family. Set in North Carolina, the show also starred Amber Stevens West, Lil Rel Howery, Tiffany Haddish, Loretta Devine and David Alan Grier. “The Carmichael Show” often earned praise for tackling difficult issues, including use of the N-word and the ethics behind continuing to enjoy Bill Cosby’s comedy career. This week’s episode, which centered on a mass shooting, was initially supposed to air two weeks ago, but NBC delayed it when four people, including Rep. Steve Scalise, were shot in Alexandria, Virginia, on June 14. Is "Stranger Things" back in the Upside Down? Will "Timeless" get its time machine back? Is "The Good Place" really the Bad Place? 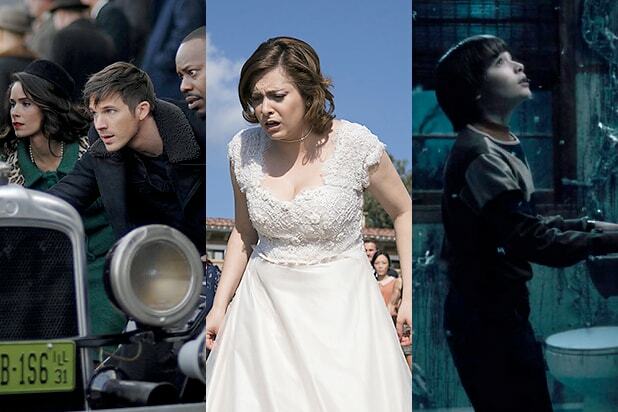 Here are 10 TV cliffhangers we can't wait to see resolved. Just as one shooting got solved, another was presented, as a mysterious assailant held up Pop's diner and shot Archie's dad -- with Jughead's ominous voice-over telling us this was no random robbery gone wrong. Samurai World? Samurai World! Also, we're not sure who's really dead. Mike touched his bathroom mirror and his world -- and ours -- transformed back into the Upside Down again. What does it mean? Jamie and Claire were separated, seemingly for good, but in the Season 2 finale, she got word that he actually survived the Battle of Culloden, which means she could travel back in time again for a reunion. Central City was left without its hero as the Speed Force needed a prisoner and Barry stepped up to sacrifice himself. Just as it seemed Rebecca would finally get her happy ending with Josh, he freaked out and left her at the altar. Season 3 should be even more awkward than usual. It was the twist that blew fans' minds - were Eleanor and company in The Bad Place all along? The post-apocalyptic drama set up its biggest time jump yet -- 6 years -- and left Clarke facing off against a new unknown threat in the form of a prisoner-transport ship from space. Good thing this got uncancelled, because the time-travel drama dropped two big twists as mysterious, villainous organization Rittenhouse took control of the time machine. The fairy tale drama offered closure to the majority of its current characters, and set up a planned reboot for Season 7, with a grown-up Henry getting a visit from a woman who claims to be his daughter. "Your family needs you," she said. Just How Lackluster Are Megyn Kelly’s NBC Ratings?